Its very necessary that every blogger should have their own Facebook fan page. Only having fan page is not important you have to update it periodically so that it gather more likes and increase your blogs Facebook referrals. Sometimes We Bloggers don't have that much time to update our Facebook fan page status or sometime we just forgot to update the fan page status.It affect the fans who waiting for our updates. Here is a best solution for this. 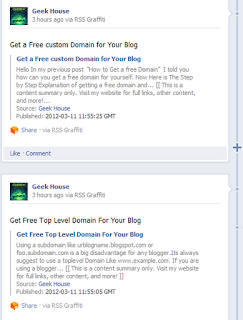 RSS GRAFFITI is a Facebook apps which help you to add your updates automatically to your Facebook page. 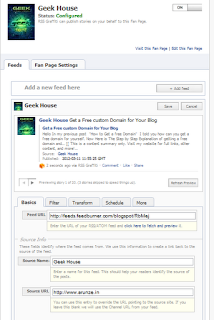 It is very simple apps.You can easily configure it for your Blog and Facebook fan page. After going to the above link just Login with your Facebook fan page admin account and allow the RSS GRAFFITI apps to access your Facebook. 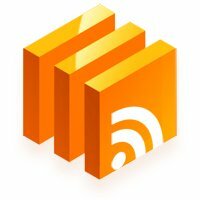 Now You have to provide your blog feed URL(from feed burner or RSS whatever).After that you have to configure it little bit as mention there.Save the settings and you are done. As soon as you post something to your Blog You can Check your Facebook fan page which will be automatically updated by RSS GRAFFITI. Check the Images for more references.